Do you have a serger gathering dust because you just aren’t comfortable with the machine? In this class, you’ll discover the world of beautiful overlocked seams and finishes executed efficiently in a casual stress-free environment. In class, you will systematically and skillfully construct a beautiful fabric notebook that the instructor designed to maximize your confidence and skill level with your serger. 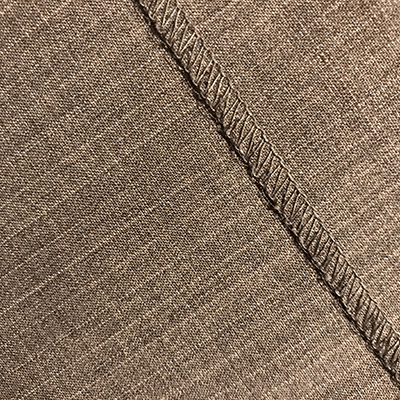 When you construct your notebook, you will practice stitches, including seams on various textures of fabrics, from sheer and knits to cotton and wool. Beautiful finishes and embellishments are sure to inspire you to continue to use your serger with success. Fred has deep knowledge of sergers backed by research, practice, and discoveries made using this amazing sewing machine over the past decade. Classes fill up quickly, so please register quickly. Download the class supply list. NOTE: Fred will be conducting the class using a Baby Lock®️ Imagine; however, if you have another brand or model please indicate that when registering, so he can research the set-up for your machine and guide you accordingly.